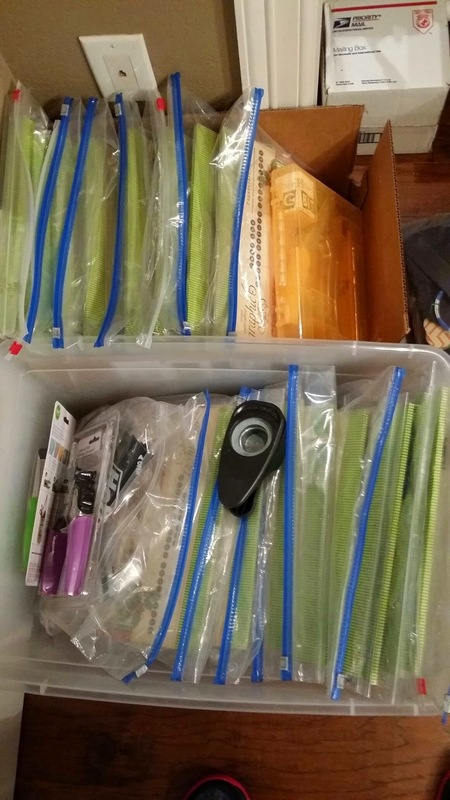 The Gentleman Crafter: Kits Done and Gonzales Bound! I'm off in to Craft Crossing in Gonzales, Texas to teach the Graphic 45 Christmas Jack-in-the-box. Such an amazing store in an awesome town! Pam Malatek, the owner of this fantastic store has moved the shop to a beautiful new location just off the square in downtown Gonzales at 525 Saint Joseph Street. The class kits are done and waiting to be loaded in the car and I'm excited to be with these lovely ladies once again! If you get a chance, make sure you come down to Gonzales this weekend for the grand opening of the store and the amazing Winterfest Celebration in town. It's going to be too amazing...friends, parades, lighting of the town, merchants open late and so much more...Yahoooo! Thanks SO Much for coming by! See you in Gonzales! Sounds exciting!!! don't forget plenty of pics to share with us that can't make it.....Have fun fun fun!!!! !